Paula and I attended last Friday’s NEXT London 2016 - Google Cloud Platform’s User Conference - the largest Google developer and IT gathering in the UK, exploring the latest developments in cloud technology. This was the first talk in the big hall. Craig Box gave a similar overview of Kubernetes to his presentation at Container Camp last month. Kubernetes is Google’s open source container scheduler based their experience building Borg, their internal scheduler. The problem of running persistent workloads in containers is still an area of uncertainty; however, some new features in Kubernetes 1.4 look to be addressing this. He was also keen to point out the efforts of the community to improve the Kubernetes development experience with Minikube as well as the experience on other clouds. This talk was about Spotify’s story of moving their 5 billion files to GCP. 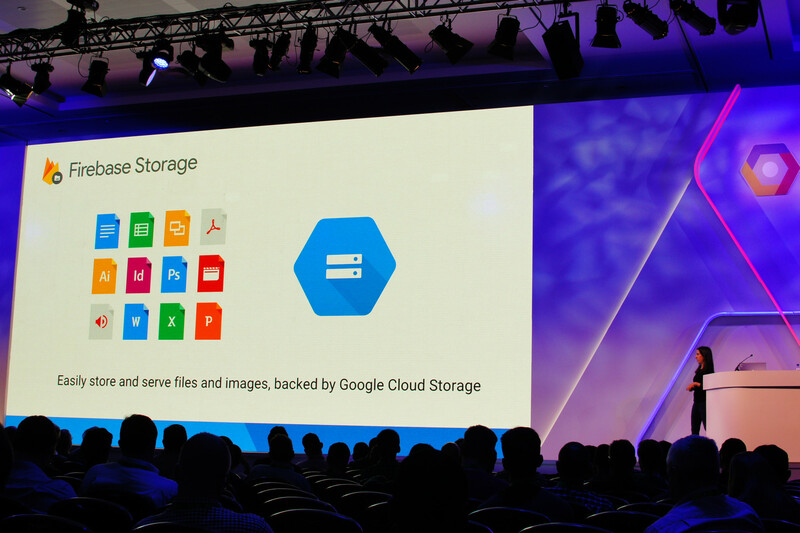 It wasn’t at all technical but did highlight the benefits of Google’s storage offerings. They have what looks like a great tool to import data from other hosted storage offerings - that apparently only dropped ~100 files out of the 3 petabytes of data. ‘Coldline’ was also announced at the same price point as AWS Glacier - only markedly faster. 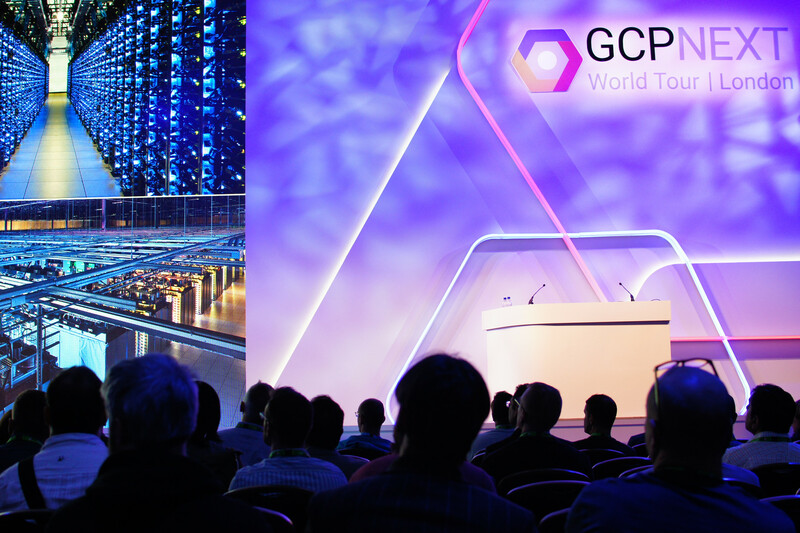 Speakers from Coca-Cola and Rentokil talked about how they use GCP to ingest a data from IoT devices. Rentokil were using smart, connected traps to help food factories to comply with new regulations by responding to incidents quickly. Coca-Cola were using beacons to track visitors to stores with bluetooth beacons and using the data to select very small groups for highly targeted advertising. GCP Developer Advocate Bret McGowen gave a very clear introduction to Google Cloud Functions. While these look good and easy to use - sadly we can’t actually use them yet while they’re in alpha (though we got the chance to sign up…). Contrary to the talk description, we also missed out on a demonstration of deploying from GitHub. This was the winner for me. Philip Beevers, head of site reliability here in London, gave a really good overview of how Site Reliability Engineering works at Google - from both a social and technical perspective. He talked about how an ‘Error Budget’ helps balance service level objectives with feature development. Rather than having greater reliability than your objective you can instead use this buffer to move faster delivering new features. Should this lead to poorer downtime then it’s a signal to slow down and spend time working on reliability, performance and process. SREs at Google mix with other engineers who have the option to give the role a trail run. On call shift length is also reduced when a faster response time was required. He also talked about a game they played called “The Will of Misfortune”. Played Individually or collaboratively, the game involves talking through a past failure scenario and discussing actions they’d take. I thought this sounded like something we could have a go at sometime as a developer event. There were also a good 15 mins of questions that he handled very well. Questions ranged from on-call compensation (which he passed on) to some hard questions about recent downtime on GCP products. His answers to these shed more light on the process and was a great bonus - people were clearly interested, but skeptical, in the SRE setup. This certainly was a big selling event. But Google managed to spark the interest in their different Google Cloud products, presenting how to solve real problems with these products, rather than hosting a series of marketing session to sell these to us. I learned that GCP has a lot to offer, with its fast, quite affordable and insanely scalable products. When in need of comfortable and easy-to-use “backend-as-a-service”, here comes a Firebase as a production ready, multi-platform (web, iOS, Android), real time database solution, with an instant connection to various Google’s APIs - like a neural network based Vision API, which is able not only to recognise an image of the cat, but in many cases it will tell where the picture was taken or who has produced your cat’s food (at least if the bag is in the picture). During Sara Robinson’s live coding session, in which she used to build a simple messaging app, she showcased how Firebase combined with GCP provides the possibilities to store images, videos or other large files, and how to use Firebase Analytics. There is no doubt that these are many examples of infrastructure advantages that developers now won’t have to worry about anymore. It was promised that no PhD was required, but Martin Gorner‘s talk was definitely addressed to people who have vast knowledge of Machine Learning and terms, such as Softmax classifier, ringing a big bell for them. It’s no secret that Google has had a major focus on machine learning for a while now. Within the Google Brain project, they have started to explore a deep learning/artificial neural networks trend in ML and last year they open sourced Tensorflow, a library for numerical computation, which uses data flow graphs. This has been used for Google Photos and voice recognition, among the others technologies. During the presentation, Martin was using the MNIST database of handwritten digits (commonly used for training and testing in ML) to show how TensorFlow works and what can be achieved with it (training a model to predict the digits by looking at images). With a whole new product family, Cloud Machine Learning strives to take a machine learning mainstream, and with Vision, Speech or Natural Language APIs, we’re much closer to developing applications that can “understand” the world around them.